Stream2Chromecast is a command line Chromecast media streamer for Linux. The tool can transcode unsupported formats in real time and play them on the Chromecast. Those who prefer a GUI for for streaming videos to Chromecast can use Videostream for Google Chromecast, a Chrome extension that allows playing local videos (including formats that aren't directly supported by Chromecast) on your Chromecast. It supports subtitles, comes with iOS and Android remote controls, and more. supports specifying the port to use for streaming media. For audio-only files, no metadata (artist, title, cover image, etc.) is displayed by Chromecast. You may be wondering how Stream2Chromecast compares to castnow, another command-line Chromecast player. I initially wanted to write about both castnow and Stream2Chromecast. However, castnow had quite a few issues in my test under Ubuntu 16.04, such as stuttering playback for MKV files, subtitles didn't work with the "--tomp4" flag (which transcodes the video to MP4), and more. Furthermore, castnow is currently looking for a new maintainer, and its last GitHub commit dates back to April, 2016, so it doesn't look like it will receive any improvements or bug fixes anytime soon. ffmpeg or libav-tools are required for transcoding. If both are installed, ffmpeg is used by default. Replacing "/path/to/some-video.mp4" with the exact path and filename of the video you want to play (e.fg. : stream2chromecast "/home/andrei/Videos/VIDEO1.mp4"). In my test, Stream2Chromecast failed to connect to my Chromecast if I didn't specify the Chromecast IP address, while other tools, such as pulseaudio-dnla, didn't have this issue, so I'm guessing this is a bug. Where "CHROMECAST_IP_ADDRESS" is the Chromecast IP address. You can find out your Chromecast IP address either by looking at your router's connected devices list or from the Google Cast mobile app, under "Device settings", under "Information" (at the bottom of the Device Settings). Where "/path/to/some-video.avi" is the exact path and filename of the media file you want to play on your Chromecast. You can append other flags to this command, like "-devicename CHROMECAST_IP_ADDRESS", which I've mentioned above. stream2chromecast -devicename CHROMECAST_IP_ADDRESS -transcodeopts '-vf subtitles="/path/to/some-video.srt"' -transcode "/path/to/some-video.avi"
Where CHROMECAST_IP_ADDRESS is your Chromecast IP address, "/path/to/some-video.avi" is the exact path and filename of the video you want to play on the Chromecast, and "/path/to/some-video.srt" is the exact subtitle path and filename of the subtitle file you want to use. More about the FFmpeg subtitle filters, HERE. Where URL is the video file URL, e.g. "http://www.example.com/my_media.mp4". 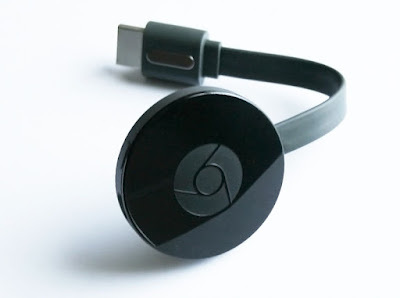 Or visit the Stream2Chromecast GitHub page. If you don't want to add the PPA or you don't use Ubuntu, you can grab the deb from HERE or download Stream2Chromecast from GitHub (either via Git or by downloading the latest code as a .tar.gz archive - HERE's a direct link). Thanks to Mahdi for the tip! Image via Wikipedia.